We’d love your help. Let us know what’s wrong with this preview of Plebeian Revealed by Debbie K. Lum. No one was supposed to know who was in the rock band Plebeian. That was the deal singer Lauren Logan made with her ex-boyfriend. After recording a movie soundtrack, they remained anonymous as a publicity stunt for the film. Staying under the radar was easy for Lauren, a loyal but self-doubting wife and mother living in Tampa, Florida. Her biggest challenge was choosing a d No one was supposed to know who was in the rock band Plebeian. That was the deal singer Lauren Logan made with her ex-boyfriend. After recording a movie soundtrack, they remained anonymous as a publicity stunt for the film. Staying under the radar was easy for Lauren, a loyal but self-doubting wife and mother living in Tampa, Florida. Her biggest challenge was choosing a dinner menu to satisfy her teenage boys and keeping the meal hot for when her workaholic husband wandered home. Until the day Academy Award nominations were announced. Suddenly, Plebeian was thrust on the world’s stage, winning an Oscar for Best Original Song. Sudden fame has brought Lauren things she didn’t want. But it’s also brought her someone she did: Andy Hayden, the man of her dreams. Now she has a red hot career with her ex-boyfriend, a husband who hasn’t noticed, and a smoldering crush on a man she hasn’t seen in years. Unfortunately, she also has a stalker who wants her to himself. To ask other readers questions about Plebeian Revealed, please sign up. What do you do when a tropical storm ruins a three-day weekend? You read an entire book in a day and this was an entertaining and quick read. I don’t usually read romance novels and this has a hint of romance...but not so much that it overpowers the story. Because much of the action takes place where I live, tried to figure out which restaurants might be the ones in the book. 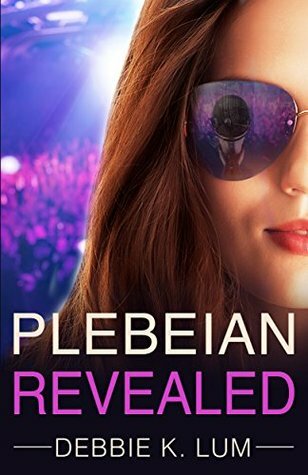 I received Plebeian Revealed in a Goodreads giveaway in exchange for my honest review. Unfortunately, I just couldn't get into Plebeian Revealed. It was well written, but the story just didn't do it for me. It was like the book was trying to be a romance and a mystery/thriller all in one, but those two sections just didn't seem to connect. Lauren and Andy went to high school together and reconnect when Lauren becomes a hit sensation overnight. Lauren gets divorced and starts a relationship with A I received Plebeian Revealed in a Goodreads giveaway in exchange for my honest review. Lauren and Andy went to high school together and reconnect when Lauren becomes a hit sensation overnight. 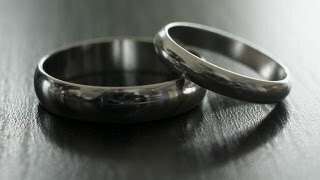 Lauren gets divorced and starts a relationship with Andy, moving in and falling in love in a blink of an eye. Everything is going fine and then suddenly a car crash ruins everything and Andy runs off. They end up getting back together and everything seems happily ever after and then some stalker comes out of the blue, someone we really hadn't met, until the end of the book. They overcome everything in the end to end happily ever after. If you are interest in Rock-n-Roll, mystery and romance this is a series for you. You will come to love the character of this series since they are so realistic. I had a hard time putting down the book. I am looking forward to the next book in the series. I recommend to my family and friends to read. I received this book through goodreads giveaways for an honest review. Plebeian Revealed didn't quite hook me. The writing was good. I really liked the idea, the beginning of the book, and the ending, but couldn't get into the middle - I kind of wanted to slap the characters then. A wonderful story that i enjoyed reading. The story is indeed fast paced full of twists, turns, mystery, thrills, a great plot, excellent characters, and well developed story-line. A must read for any and all book lovers everywhere. What a great book! I had no idea what I was getting into but was sucked into a fascinating story! I received this for a honest review. DEBBIE K. LUM is an unlikely author, a non-reader who was inspired by a self-esteem ad campaign encouraging little girls to dream big. Her romantic suspense novels feature fun, flawed characters with steamy and complicated relationships (and plenty of surprises!) In 2018, Lum released I CAN HANDLE HIM, which was called "A fresh, enjoyable tale." by BlueInk Reviews. Reviews for the book have been p DEBBIE K. LUM is an unlikely author, a non-reader who was inspired by a self-esteem ad campaign encouraging little girls to dream big. Her romantic suspense novels feature fun, flawed characters with steamy and complicated relationships (and plenty of surprises!) In 2018, Lum released I CAN HANDLE HIM, which was called "A fresh, enjoyable tale." by BlueInk Reviews. Reviews for the book have been published in Booklist Magazine and Kirkus Review Magazine. Her 2017 novel, THE DOCTOR, THE CHEF OR THE FIREMAN, was called “A quick, satisfying romantic mystery.” by Kirkus Reviews. In 2016 she debuted PLEBEIAN REVEALED, PLEBEIAN IN DANGER and PLEBEIAN REBORN, a series about a married woman who finds sudden fame with her ex-boyfriend. Debbie splits her time between Florida and Texas and drinks more unsweetened iced-tea than she probably should. “A real friend would have given you a drink by now."